VANCOUVER, BC – Andrew D. Basiago, a lawyer, former U.S. chrononaut, and Mars explorer, with an IQ of 168, whom career CIA officers associated with DARPA’s-secret time travel program confirmed that U.S. government secret time travel pre-identified him as a future U.S. President — as it did U.S. Presidents George H.W. Bush, Bill Clinton, George W. Bush, and Barack Obama — officially declared his candidacy for President on talk radio’s Coast to Coast AM Saturday night. In a December 19, 2015 US Presidential 2016 candidacy announcement made at the outset of an interview by host Jimmy Church, Basiago stated that unlike previous US Presidents Bush, Clinton, Bush and Obama, all of whom were also identified as future presidents by Project Pegasus and briefed on their destinies but who then concealed their prior knowledge for political gain, he has made a conscious moral decision to make it publicly known that the U.S. government has used secret time travel technology to identify him as a future President. Mr. Basiago, who was educated at UCLA and Cambridge and holds membership in the Washington State Bar Association and the United States District Court for the Western District of Washington, stated he was certain that the drafters of the U.S. Constitution had not contemplated that secret time travel would one day be used to acquire pre-knowledge of the outcome of elections, and thus subvert the democratic process. The American people, he stated, have a right to know the impact of secret time travel on their Presidential elections, and this is why he is speaking out, even if it costs him this election. Andrew D. Basiago’s dramatic announcement was made to millions of potential voters over Premiere Radio Network’s flagship Coast to Coast AM. As a measure of the mainstream reach of Andy Basiago’s 2016 campaign announcement, Premiere also hosts widely listened-to conservative talk radio shows hosted by Rush Limbaugh, Sean Hannity, and Glenn Beck. Coast to Coast AM itself is carried on 600 stations nationwide and reaches U.S. military personnel stationed overseas. 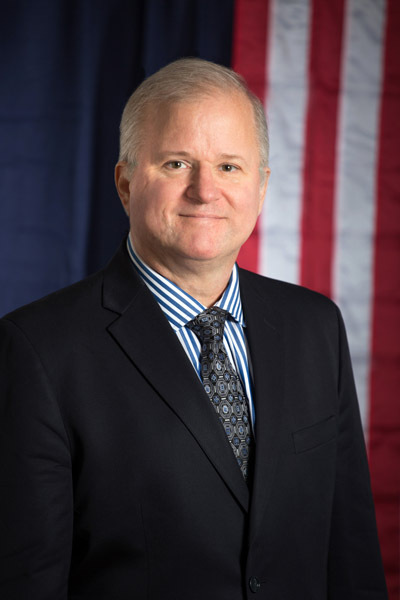 The substance of Andrew Basiago’s campaign is based on three pillars: Truth; Reform; and Innovation in a New Agenda for a New America, expressed in 100 Proposals that will be published in the near future at his campaign website, Andy2016.com. Mr. Basiago indicated key proposals may include a government-wide extraterrestrial disclosure initiative; U.S.-led sponsorship of planetary teleportation following the declassification of Tesla teleportation technology that the U.S. government developed in the 1960’s; a transition by the U.S. intelligence community to open source intelligence; and the establishment of a truth and reconciliation process within the U.S. government based on the South African model. Because it costs an estimated $5 million for an independent candidate to secure access on voting ballots in the 50 U.S. states, Basiago is running as a write-in candidate with a proposed cabinet that he will name in the 43 states that allow write-in votes, where the voter physically writes the name of the candidate they are voting for on the ballot. “Nowhere does it [the Constitution] require that one own or have ready access to borrowing $5 million. But when Andy2016 investigated access to the 2016 Presidential ballot nationally, that is what we found. Acquiring ballot access in the 50 states now requires approximately $5 million. “In a world of falsehood, only the truth abides. Andy2016 invites you to partake with us in a grand political experiment. Let us for the first time elect as President a candidate who has waged a write-in candidacy. I am running as a write-in candidate for President. Let us use my candidacy to disgrace the two major parties with a gusto equal to the disdain by which they disgrace us. Let us achieve, in 2016, a victory of public right over monetary might. Well let me say as a Canadian that this particular announcement is awe-inspiring...here in Canada we never thought that Justin Trudeau would sweep the charts to defeat the masochist and clone Stephen Harper who was bringing Canada to it's knees after fraudulent previous elections however that was exactly what happened and no one here in Canada expected it...so I would say there is great hope for Basiago to do the same. Certainly the United States needs a change in this direction. I wish him the best. He looks presidential in his photo, doesn't he? I've not clue if he can beat the political system that's currently entrenched. Too bad Trump didn't put his millions behind Andy. But again Trump is very visible with the media on a daily basis and Andy isn't. I'd like to see Andy get it too.